"Thank You Jim & I'll Have to Check it Out Jim.........Bennie"
""On the Wings of Eagles",Story of a barnstormerwho becomes the National Flight Instructor of the Year1981. http://amazon.com/books $3.99"
"Looks like someone added a spam comment to my profile." "I think it would have been really coo To be a barnstormer!" "Thanks Jim. Did you fly for an airline or what all did you do?" "Hey Jim just accepted your friend request. I see you are an Examiner, which FSDO are you assigned to, mine is the East Michigan FSDO. 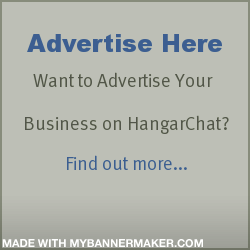 Pleasure to meet you on Hangar Chat." Thanks Jim. Did you fly for an airline or what all did you do?